How will the Goods and Services Tax change matters for the 5-crore plus informal and small enterprises? Will they grow and join the formal sector? Or will the businesses shrink as tax exemptions come down? Many small businesspersons feel that expanding the scope of concessions offered is necessary for survival and growth. 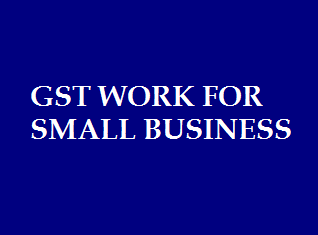 The GST package for small firms has two options. Those with annual turnover of up to ₹20 lakh (10 lakh for north-eastern States, Himachal Pradesh, J&K, and the UK) may remain outside the tax net. For slightly bigger firms with turnover less than ₹75 Lakh (50 lakh for the NE, HP), the GST allows a low tax option called the composition scheme by which firms can pay tax at a low 1-2 per cent and file four returns a year. This looks good as a regular dealer pays an average of 18 per cent GST and files 37 returns a year. Many are not happy with this package. They feel these concessions come with so many conditions that they are no more an option for a growing firm. 1. Low exemption limit: Is the ₹20-lakh annual turnover limit for opting out of the GST net adequate? Consider an example. A grocery shop owner selling goods of value ₹2 lakh a month would not qualify for the exemption as his annual turnover crosses ₹20 lakh. Now, guess his take-home income. Considering 10 per cent margin on sales, his monthly income would be a low ₹20,000. Forget his expenses on electricity, other charges, and taxes that reduce his income further. Do we expect a person earning about ₹15,000 a month to join GST as a regular dealer and file 37 returns online every year? 2. No composition scheme to service sector:So, shopkeepers, motor garage owners, transporters, storage and warehouse owners, and everyone else except restaurateurs do not have the low tax option. The service sector comprises 70 per cent of all MSME units. They are big employment and value creators. The irony is that many of them, whether a shopkeeper or garage owner or laundryman, already face stiff competition from app-based service providers flush with VC funds. 3. No export-import business: Even if a firm’s annual turnover is less than ₹20 lakh, it must register as a regular dealer to export or import. No registration would lead to loss of business for a lakh small firms that contribute over 40 per cent of India’s exports. 4. No sale on e-commerce websites: A small firm must register as a regular dealer to sell. This condition will affect more than 50,000 entrepreneurs selling through eBay, Flipkart or Amazon, and other e-commerce websites. They could be housewives, students, small traders, retired army personnel, small craftspersons, or manufacturers. Low risk and low investment make selling on e-commerce sites safe and attractive. No wonder e-commerce is propelling an entrepreneurship boom in small cities. The e-commerce provisions have not become operational yet. 5. No sale to other States: A composition dealer cannot sell to other States. Earlier, large firms purchased from small firms of the same State to avoid paying Central Sales Tax, which was payable on purchases from other States. But under GST, large firms are free to source from any State as they get input tax credit on such supplies. So small firms face double trouble. They may lose their existing customer base. Also, they cannot supply to other States. 6. Loss of orders from large firms: If one regular GST-registered firm buys from another GST-registered firm, the seller pays the tax and the buyer gets the input tax credit. But, if such firm buys from an unregistered firm or a composition dealer, the buyer has to pay tax. As this increases the buyer’s compliance burden, he would avoid a non-registered firm. An inspector will knock on the doors of a garage owner with sales of ₹2 lakh a month unless he registers as a regular dealer. Others may expect a similar fate. Why then are small firms reluctant to enrol as regular dealers? There are two reasons for this. For one, tax liability shoots up on registration. Consider an example. Pre-GST, a small firm making a product that attracted central excise duty @12.5 per cent and VAT @ 5 per cent paid only VAT as manufacturers with turnover below ₹1.5 crore were exempt from central excise. Now, if such a firm registers as a regular dealer, his liabilities shoot up from 5 per cent to 18 per cent. For large firms, tax liabilities remain more or less the same. For another, there is the high cost of regulatory compliance. A regular GST dealer must file 37 returns for each State in which it operates. He also must keep records, meet audit requirements. The small turnover does not justify high compliance costs. Also, most dealers are not tech savvy. In order to enter the GST regime, they need expert help and a mind-set change.